Your Tampa moving job just got easier because today we’re going to share with you ten tips to take your moving experience from a nightmare to a dream! No one looks forward to moving day…okay, you might look forward to being in your new home or even a new neighborhood, but for most people, the process of moving itself is an absolute nightmare. Sure, a good moving company like Big Boys will help things along, but we all know that moving day starts a long time before the movers show up! That’s why today we are going to share ten of our favorite Tampa moving tips to help your upcoming move along! Ten Tips to Make Your Tampa Moving Job Easier! 1. Book Your Movers Ahead of Time! No, we’re not talking about the week before your move! 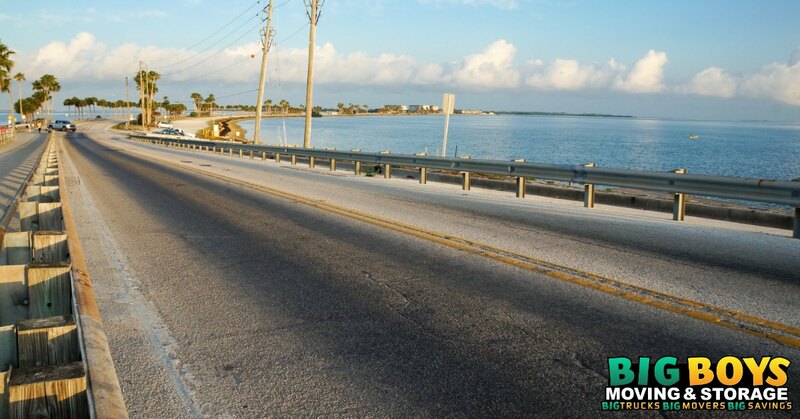 Try to book your Tampa moving company at least two months in advance – more if possible. Leaving your move until the last minute or simply procrastinating can leave you without movers on your moving day or worse, you may end up hiring a less than reputable company! Sure, some moving companies will reserve some last minute appointments for emergency moves, but you bet you’ll pay more for the privilege of taking one of these slots! 2. Clear Out Your Clutter Now! Most of us have some degree of clutter in our homes and this clutter can complicate your Tampa moving experience by adding unnecessary boxes to your load. Avoid this by starting to clean out your clutter now. If it’s something you don’t use or have no attachment to throw it away or donate it so that you don’t just lug it to your new home with you. Packing is a tedious process that can seem to be neverending. You can make your move go much more smoothly, however, by starting your packing as early as possible. This way you can tackle the job one small bite at a time rather than trying to swallow it whole the day before your move. This will cut down on your stress and give you time to pack your belongings properly so they get to their destination in one piece! This tip is invaluable. Many people try to clean as they pack thinking that it will save them time and streamline the moving process. The problem with this approach is that moving kicks up dust and debris, so even if you clean as you go, you will wind up having to clean again once your move is finished. Save yourself some time and clear out the house first and then come back to clean. Better yet, if you can afford a professional cleaning service hire them to come in after the move and leave the house sparkling! It sounds like a no-brainer, but many movers try to save money by picking up free boxes at the grocery store or warehouse club. This may save you money upfront, but it also presents a couple of problems – firstly, these boxes are not designed for moving homes and often aren’t reinforced enough to transport your items safely. Secondly, to make your Tampa moving process as efficient as possible, you need to invest in professionally sized moving boxes. Choosing the right professional moving boxes will keep your items safe while also allowing you to pack more efficiently. For example, using a wardrobe box to move clothing saves hours in ironing time because you can just hang up your clothing directly in the box! Book pets into “daycare” or leave them with friends that day. Create a moving folder with contact information and your moving plan inside. Outline a rough schedule for the day of the move. Make sure that everyone in your home is familiar with the moving day schedule. You may think that you will remember what was packed where, but once your moving boxes are in your new home you will find that they all look the same. Make your move and unpacking process easier by labeling every moving box specifically. Things to include on the label: origin room, destination room, box contents, and box series number if you have more than one box for a specific item or collection. If you know that you are terrible at planning or if you are a procrastinator, consider hiring a full-service moving company to make your Tampa moving job easier than ever. Not only will this prevent you from scrambling at the last minute to get things packed, but it will also mean that your belongings are packed professionally. Using a professional moving packing service means professional packing materials, professional packing skills, and perhaps most important of all – insurance! 9. TALK to Your Moving Company! These days it’s tempting to just book online and go about your day, but when it comes to moving, it’s always best to talk to your moving company in person. This will allow you to explain your moving circumstances and get a more accurate idea of what size move you are looking at. Professional movers spend their days moving people from house to house and as such, they are much more equipped to “eyeball” the size of your move than you are. Book your move without talking to your movers first and you may end up with a truck that won’t fit your items and they will result in added moving cost and inconvenience! Have any family member who is ill or infirm spend the day with friends or family too so you have less to worry about on moving day. Have everything ready to go the night before your move. Create an “overnight bag” to use on the day of your move so that you have access to your in-demand items like toiletries, a change of shirt, medications, etc. Book a hotel for the first night after your move. This will allow you to rest without panicking about unpacking on the same day as your move. Looking To Make Your Tampa Moving Job Even Easier? 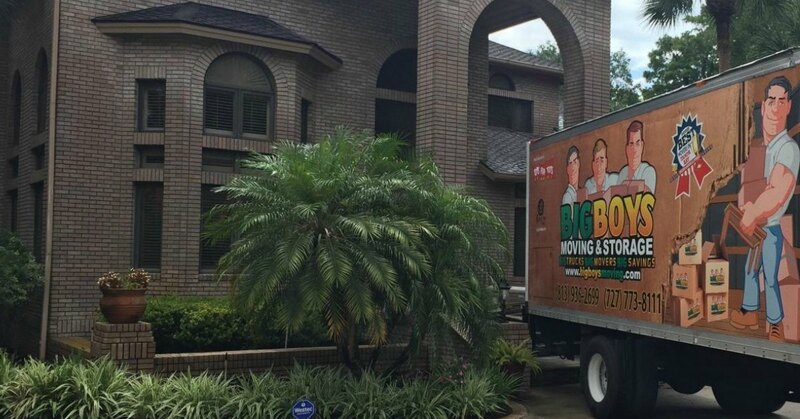 If you are looking to make your Tampa moving job even easier, consider dropping us a line here at Big Boys Moving and Storage drop us a line at 813-936-2699! Don’t forget to ask about our full-service moving packages and our current savings and specials!